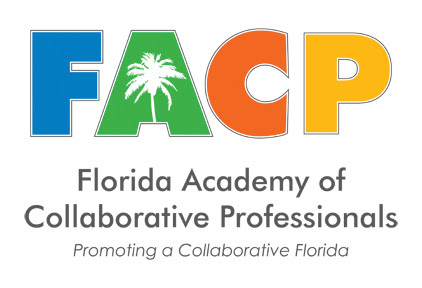 The 5th Annual Conference of the Florida Academy of Collaborative Professionals (“FACP”) will take place in Tampa June 9-10th. 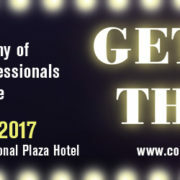 The conference is an opportunity meet like-minded professionals from throughout the state, learn cutting edge practices, gain tips for marketing and initial consultations, and learn about the impact of the Collaborative Law Process Act (Part III of Chapter 61, Florida Statutes). Additionally, if you are a neutral and serious about improving your skills, there is a pre-conference advanced training on “Leading Clients Through Option-Building” lead by internationally renowned trainers. This advanced training will take place on June 8. Last year, Florida Governor Rick Scott signed into law the Collaborative Law Process Act. There are still some steps that need to be taken for the law to go into effect (namely, the Florida Supreme Court will need to establish rules of procedure and rules of professional conduct). However, the collaborative community celebrated this milestone after a seven year effort by family law attorneys, mental health professionals, and financial professionals. Florida’s Collaborative Law Process Act is based on the Uniform Collaborative Law Act (“UCLA”). The UCLA is proposed legislation drafted by the National Conference of Commissioners on Uniform State Laws. The Uniform Law Commission, as it is more commonly known, creates proposed legislation that it hopes states will adopt to bring consistency and clarity to different areas of the law. Back in 2010, the American Bar Association House of Delegates was considering whether to support the UCLA. In the video below made in 2009, Harvard Law Professor David A. Hoffman explains the UCLA. He also advocates for the American Bar Association to support the UCLA. In March of 2016, Florida Governor Rick Scott signed into law the Collaborative Law Process Act (“CLPA”). The CLPA, among other things, protects communications within the collaborative process so that participants can be more open in their discussions and can rest assured that proposals and comments made while trying to reach agreement cannot later be used against them. However, the CLPA does not go into effect until after the Florida Supreme Court adopts Rules of Professional Conduct and Rules of Procedure. Proposed rules have been approved by the Florida Board of Governors, and they have been published in the August 15, 2016 edition of the Florida Bar News for comment. 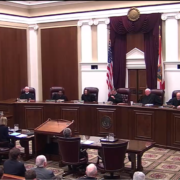 Once the comment period is over, the Florida Supreme Court will determine whether it will approve the rules. Recent bills passed by the Florida Legislature reforming alimony and changing child time-sharing laws have received a lot of attention, but something that has flown under the radar is the passage of the Collaborative Law Process Act (CLPA). Gov. Rick Scott signed the bill on March 24 after a seven-year effort by licensed mental health counselors, marriage and family therapists, psychologists and other family advocates. The CLPA applies to divorce and other family law matters, and it creates a uniform system for the practice of collaborative law (also sometimes referred to as collaborative divorce, collaborative practice or the collaborative process). The goal of collaborative law is to take the fighting out of divorce. Each spouse retains an attorney for the sole purpose of reaching an out-of-court agreement. 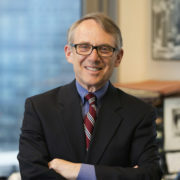 Collaborative attorneys are barred from wasting any of the clients’ energy, time or money on opposition research, discovery motions or preparing for trial. Collaborative law often involves a neutral facilitator with a mental health licensure. This is in recognition of the fact that divorce is not just a legal process, but it is predominately an emotional process. The facilitator helps parents learn to communicate and focus on what is most important to them, such as the health and welfare of their children.